My Blog: Blog Famous...and schtuffs! 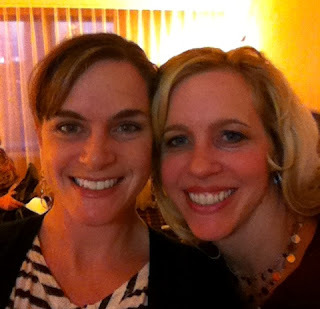 Happy 40th Birthday to my OLDER sister Jeanne! Every year her one wish is to be BLOG FAMOUS! So.....there. Done. Happy Birthday! It was such a great weekend, even though I ended up making a sizable donation to The Donald. In other news....I am crazy busy getting ready for CHA this weekend. I just finished the last of my projects for the show and now I am working on some other commitments so I don't have anything to share with you today....but hopefully soon! I know....a mess, right? Your 'famous' sister is as beautiful as you are! Same glowing smile!!! 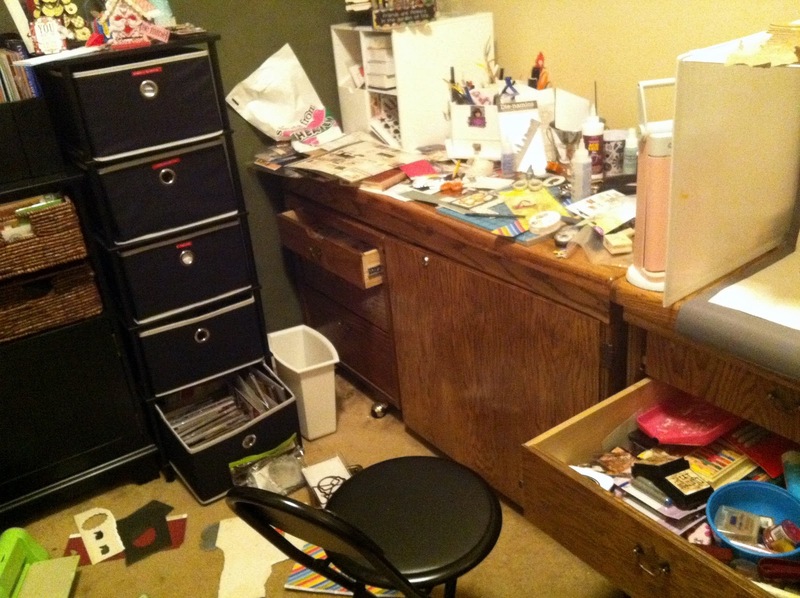 Oh, Cammie, it does my heart really good to see your workspace! Mostof what I see are pics of ginormous, clean, and shiny workspaces that most of us can only dream about! Thank you for sharing!!!! Sorry...Nice to meet you Jeanne!!!! You can't deny that she is your sister. You two look very much alike! Happy Birthday to your sister. My work area doesn't look quite that bad but I probably haven't been working on as many things as you have. Wish I was going to CHA. Have a great time! Happy B-day to your sister!! And can I say, that I am SOOOO glad you showed your creative chaos? I'm sitting here in the aftermath of my last few projects, convinced that NO ONE else creates such a mess as I do when creating! I seriously need to hunker down and attack this mess. I can't find my mojo!! Can't wait to see your creations (and hopefully, you!) at CHA!! Sounds like a fun time. Happy Birthday Jeanne!! My stamping area sometimes looks like that. Then it's time to clean it up and start over! Have fun at CHA! Happy Birthday Jeanne and many, many more to come! Wonderful photograph - how blessed to have a sister to share with. Now how come our work spaces can look so alike? Mine is tidy at the moment as I spent all afternoon sorting the other day! great pic of both of you! Happy birthday for your sister! Love seeing a 'busy' workspace and looking forward to seeing your projects from CHA! Yay! Now I am forty, fabulous, and famous! Love you, and thanks for being my late night roulette partner! Happy Birthday to your sis!! I LOVE my sis so I'm kinda partial to all of the wonderful sisters out there!! What would we do with out them?!? !